After years dominating the conversation as a “supermaterial” with high conductivity, corrosion resistance and high strength, graphene has begun to go commercial in the paints and coatings market: Applied Graphene Materials, based in Cleveland, England, introduced its Genable line of graphene dispersions for protective coatings earlier this year, and in recent years other graphene-based paints (like the Graphenstone line of lime-based architectural paints marketed by the Spanish firm of the same name) have begun to emerge. Nigel Blatherwick, commercial director for Applied Graphene Materials, answered PaintSquare News' questions about the current state of graphene technology for coatings and the company’s recently published round of corrosion-resistance testing. Graphene is beginning to make a splash in the market for protective coatings after years of discussion of the so-called "supermaterial." PaintSquare News: How long have graphene dispersions been available commercially for coatings formulation? Blatherwick: AGM [has] supplied commercial, but tailored, graphene-based dispersions for several years; however, our standardized Genable range was formally launched at the beginning of 2018 after an intensive 18 months of development and characterization. You recently released new cyclic salt-spray testing results showing considerably higher performance from a coating formulated with your graphene dispersion versus one with a zinc phosphate corrosion inhibitor. What other testing has been done in the past involving graphene as a coating component? Working with our customer partners (utilizing our extensive in-house test capability), AGM regularly characterizes a range of final coating properties, from key mechanical properties such as adhesion, flexibility, toughness and abrasion resistance through to various measures of conductivity. Are there other advantages to graphene in anti-corrosion coating formulation versus zinc or other corrosion inhibitors? Are there limits or disadvantages that still need to be worked out? Every coating formulation and application is different. AGM always strives to work closely with its customers, looking to optimize the final coating manufacturing process, performance and, ultimately, system cost. Barrier and anti-corrosion performance are the principal drivers behind AGM’s current development work, with a particular focus on optimized performance in harsher C4/C5/CX environments. While we don’t believe we have accessed the ultimate limits of graphene performance yet, it is equally true to say there is a great deal of development work still required to reach these levels. Certainly there are many potential pitfalls along the way and that is why close collaboration with highly experienced customers is central to our approach. "Barrier and anti-corrosion performance are the principal drivers behind AGM’s current development work, with a particular focus on optimized performance in harsher C4/C5/CX environments," Applied Graphene Materials' Nigel Blatherwick explains. Graphene has long been touted for its strength and conductivity, and your new research shows its anti-corrosion potential, but as of just a few years ago, it was considered to be difficult to produce en masse and bring to market. 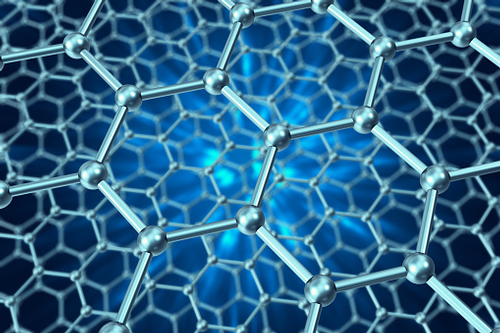 What changed so that you're now able to supply graphene dispersions for commercial use? While AGM can’t speak for the rest of the graphene industry, we do have our own proprietary, "bottom-up" synthesis processes for the manufacture of graphene nanoplatelets. These processes are proven scalable and compatible with supporting increased production uptake on a global basis. Have your graphene dispersions been put into use on any structures in the field as yet? Yes, some of our materials are out “in the field" being tested in real-world applications such as commercial vehicles. As a general rule, however, most of our development work is covered under tight NDAs, so currently can’t share some of our most progressed activity. 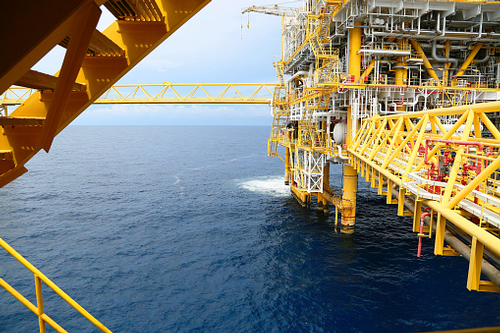 Do you foresee graphene moving into position as a widely used anti-corrosion additive, or do you predict it will be used primarily in coatings for specialty applications and particularly harsh environments? AGM certainly does envisage [its] Genable dispersion being widely adopted into anti-corrosion and barrier coatings. While harsher service environments might intuitively seem the natural home for this highly advanced material, when prepared and processed in the correct way, Genable dispersions are highly efficient. We are confident that strong technical and commercial arguments exist for uptake across many industrial protective coating applications. The basic premise of the graphene/carbon nano particles sounds very interesting at this stage. I was wondering, is there any information on or concern about graphene (carbon nano) particles being a risk in the same manner as asbestos? In relation to coatings, my concern would be either in the manufacture, mix, application or removal of the coating. There is concern about nanoparticles and health risk - someone would need to do a literature search and write an article.